This magnificent chair has two features which make it stand out from all others: its comfort and its soft elegance. Made with only top-quality components and plush cushions, this chair provides you with soft comfort which is unique to this chair. In addition, the graceful design provides a soft elegance which utilizes curves and soft edges to compliment any room and any design style. 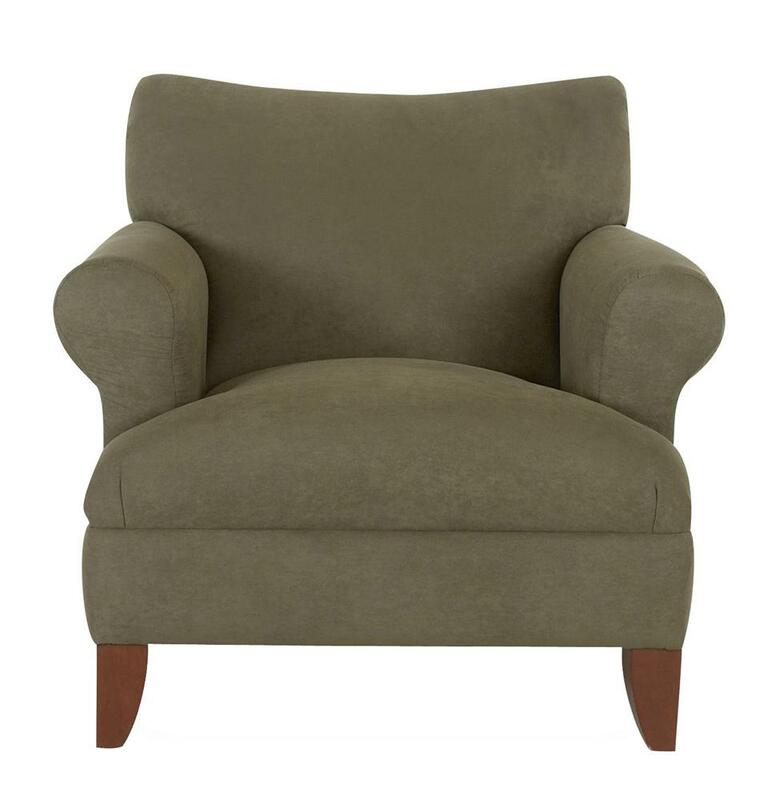 The Simone Upholstered Chair with Rolled Arms and Wood Legs by Klaussner at EFO Furniture Outlet in the Dunmore, Scranton, Wilkes-Barre, NEPA, Bloomsburg, Pennsylvania area. Product availability may vary. Contact us for the most current availability on this product. The word Simone means “one who hears”. The Simone collection from Klaussner listens to your every need and helps to fulfill this need; whether it be needing a comfortable chair, needing a chair that is elegant and casual, or needing a place to put your legs. With the solid construction of all Klaussner furniture, you are sure to love this collection for years to come. The Simone collection is a great option if you are looking for Casual furniture in the Dunmore, Scranton, Wilkes-Barre, NEPA, Bloomsburg, Pennsylvania area. Browse other items in the Simone collection from EFO Furniture Outlet in the Dunmore, Scranton, Wilkes-Barre, NEPA, Bloomsburg, Pennsylvania area.